The European Commission has arrived at a provisional political agreement on the revised General Safety Regulation, which will see new European-market vehicles get mandatory safety equipment from 2022. For cars, vans, trucks and buses, these include (but are not limited to) driver drowsiness and distraction warnings, intelligent speed assistance (ISA), reversing safety with camera or sensors and black boxes (data recorders in the event of an accident). 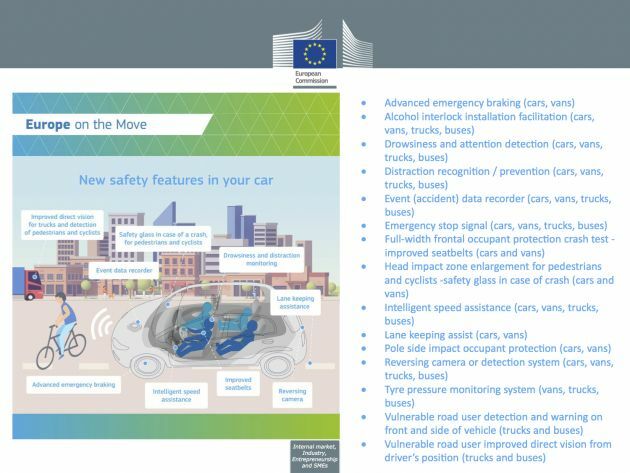 The European Commission expects the proposed measures to help save 25,000 lives and avoid at least 140,000 serious injuries by 2038, adding that the move is aimed at moving towards its goal of zero fatalities and serious injuries by 2050. The technologies have been controversial with drivers, to say the least. “Investment and upkeep of our roads are needed for many of these technologies to function at their best. In addition, drivers need to be properly trained to use these new technologies,” said director-general of the drivers’ association FIA Region I, Laurianne Krid, as quoted by Forbes. This pushback has led to legislators from the European Parliament and the 28 national EU governments reaching a compromise, which will allow drivers to disable the devices if they choose to do so, Forbes reports. 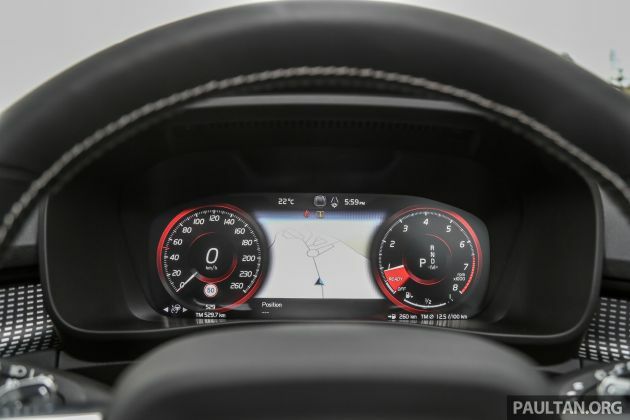 The FIA say this is necessary in areas where speed limit data is incorrect, or where there are problems with the data sent to the vehicle, it said. “The discussions in committee have been difficult, there’s even division within political groups, it’s emotional. Here we’re dealing with human lives, in the most direct sense of the word. Drivers always worry about freedoms being taken away, they did also with seat belts,” said Róza Gräfin von Thun und Hohenstein, the lawmaker for legislation in the European Parliament’s internal market and consumer protection committee. The agreed legislation is expected to receive final approval from the European Parliament and national governments next month. On top of requiring ISA to be installed in all new European vehicles from 2022, the legislation will also force ‘pre-existing models’ to comply by 2024, though the extent of the backdating to cover older vehicles was not specified. Volvo is already leading the charge, promising to limit the top speed of all its cars to 180 km/h by 2020. It also plans to install cameras in its cars from the early 2020s to combat drunk and distracted driving. The post European Commission to make speed limiters, distraction warning, data recorders mandatory in 2022 appeared first on Paul Tan's Automotive News. 0 Response to "European Commission to make speed limiters, distraction warning, data recorders mandatory in 2022"